Mom, Are There Dinosaurs In India? - Bold Outline : India's leading Online Lifestyle, Fashion & Travel Magazine. 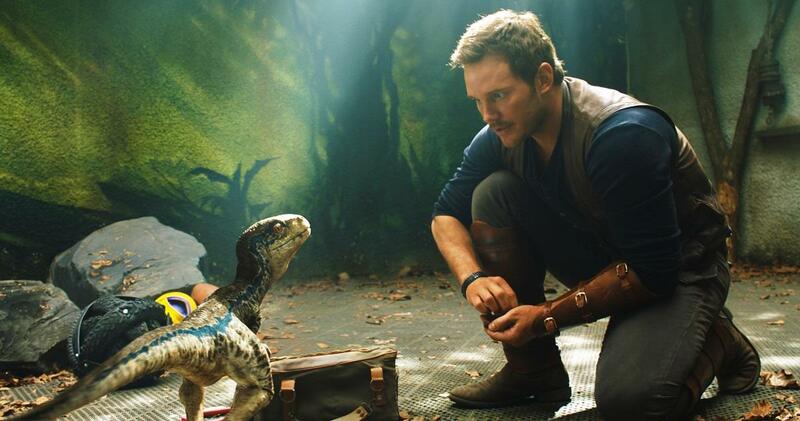 Dino lovers are readying for the release of the epic action-adventure film, Jurassic World: Fallen Kingdom in India on June 8. This year also marks the 25th anniversary of the first Jurassic Park film which was released in 1993. Making it more special is the reunion of Goldblum and renowned director/producer Steven Spielberg who directed Jurassic Park and now is the executive producer of Jurassic World: Fallen Kingdom. The film begins three years ahead of the previous film where the theme park and luxury resort Jurassic World was destroyed by dinosaurs out of containment. The island of Isla Nublar now sits abandoned by humans while the surviving dinosaurs fend for themselves in the jungles. Why are kids fascinated with Dinos? As humans, we tend to be curious about the lesser-known, about the past, about history. About a world that thrived for over 150 million years, but has ceased to exist. It’s intriguing! Life has never been the same after the movie Jurassic Park released in the early 90s. It introduced children to the world of dinosaurs. Thus began our love affair with these amazing creatures. Some lovable, some funny, some ferocious, some ginormous, yet all very interesting! Is there any evidence of dinos existing in India? If I ask anyone if they know about Indian dinosaurs, they are like, ‘What? What are you talking about?’ And I’m not surprised. Nearly 25 species of dinosaurs (and counting) have been discovered in India, some from the Triassic period – over 250 million years old! Any reference to dinos in Indian myth or literature? I am no expert on Indian mythology but in our ancient Vedas, there have been references to makaras – they were the vahanas or vehicles of Gods and Goddesses. These mythical creatures bore an uncanny resemblance to dinosaurs and we can never tell if they were the same – we can only compare evidence and early documentation. The book has a beautiful chapter on dinosaurs and makaras and the children are sure to love it! It’s my favourite part, too. I wrote this story sitting beside a fossil rock at a fossil site in India! I was so fascinated with our fossil history that my mind was brimming with characters and plots connecting the rocks to the past and the present – I just had to write it. Originally, it was only a 700-word story – now it’s a 100-page book. Now, that’s another story altogether! What is your favourite factoid about dinosaurs? That’s a tough one! So, the first dinosaur bone that was discovered in India was lost and it was rediscovered 184 years after it was first discovered! Nearly two centuries! How? 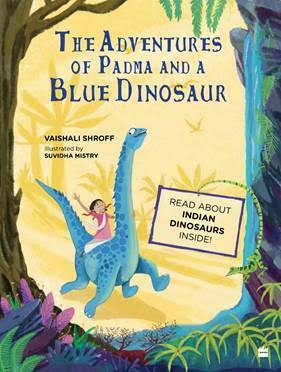 For that and many other interesting facts, you need to read The Adventures of Padma and a Blue Dinosaur!. What is your favourite book or movie about Dinos? It’s got to be the book, Danny and the Dinosaur by Syd Hoff. Their adventures make delightful stories for children. For non-fiction, Dr Ashok Sahni’s Dinosaurs of India by NBT is the holy grail on Indian dinosaurs. I also like the Kingfisher First Dinosaur Picture Atlas. While for the movie, it is Jurassic Park all the way! Scholastic Encyclopedia of Dinosaurs. A informative introduction to the intriguing world of dinosaurs. Get to know where these extinct creatures lived, what they looked like and why they still capture our imagination. 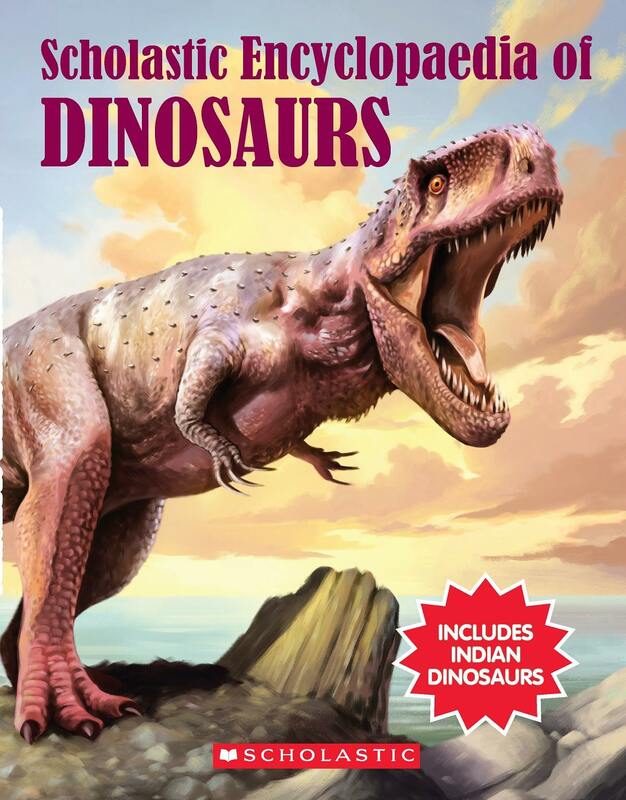 The book includes Indian Dinosaurs.